How do I edit a section's details? You can easily edit details for each section in your course. Note: You can only edit a section after you have opened the course where the section currently resides. Note: If you only want to change the name of the section, you can click the Edit icon . In the sidebar, click the Edit Section button. Edit the name of the section. Click the Calendar icon to select the section start dates. 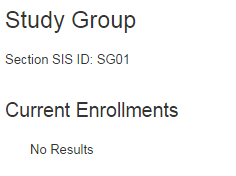 Click the Calendar icon to select the section end dates. 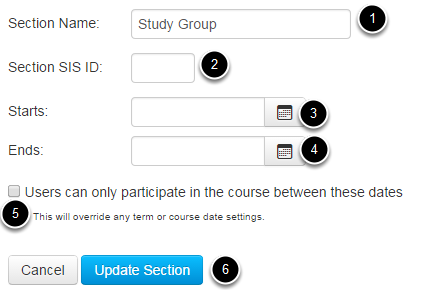 Select the Users can only participate in the course between these dates checkbox to limit user participation in the course. Click the Update Section button to update your changes. View the changes made to the section.